Live Shows | No, YOU Tell It! 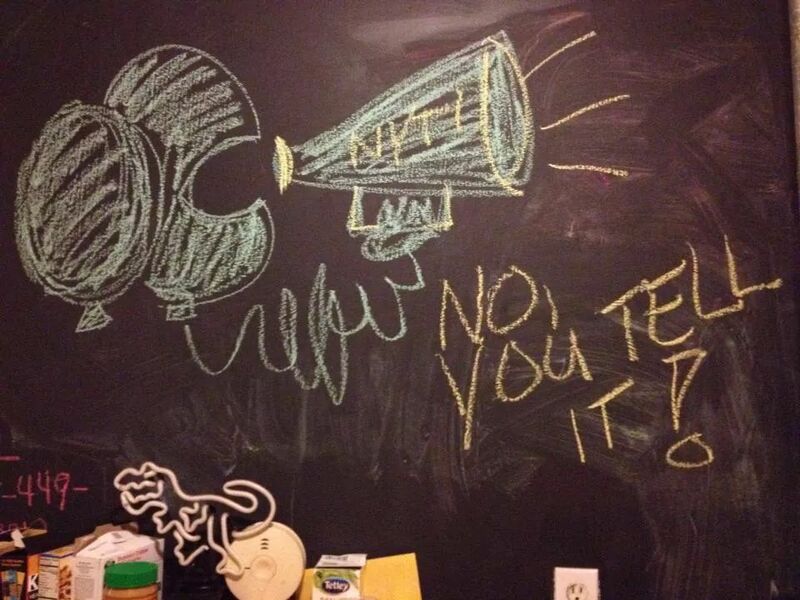 Upcoming and past live shows presented by No You Tell It! We live our lives in a trance, constantly spinning, focused on our never-ending list of chores. More and more, I’ve been forcing myself to stop and take notice. You can’t help but stop and take notice of the result. I’ve been thinking a lot about being present. Sometimes I drive to work and have no recollection of how I arrived. Or I drive home, park my car and walk into the kitchen before realizing I meant to stop at the grocery store. Sometimes I wake up startled in the middle of the night and ask myself: where am I? 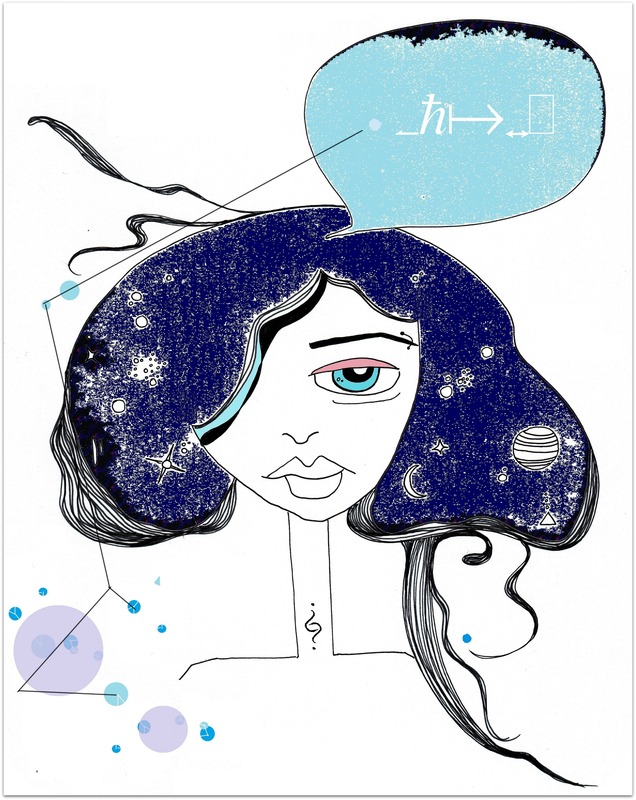 We live our lives in a trance, constantly spinning, focused on our never-ending list of chores. More and more, I’ve been forcing myself to stop and take notice. To breathe. To admire the chaos that is day-to-day life and not allow the constant parade of thoughts that the restless mind serves up to keep me from finding peace in the present moment. More and more I’ve been tearing up my to-do list, turning off my phone, and focusing on the here and now. There is beauty in the world, overwhelming, awe-inspiring beauty, and we must force ourselves to be present in order to fully appreciate it. 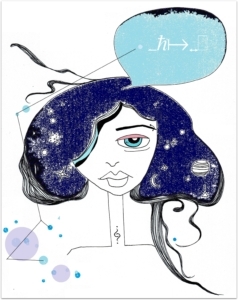 For more fantastic work from Letisia Cruz check out Petite Hound Press – a miniature press based out of Las Vegas and Miami run by two tattooed, poetry-writing, art-loving ladies. Visit petitehoundpress.com. Going to #AWP17? 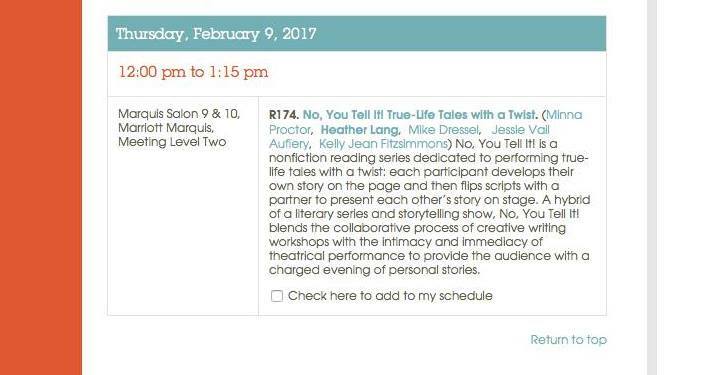 Join us on Thursday, 2/9 at 12 noon (Marquis Salon 9 & 10, Marriott Marquis, Meeting Level Two) to hear switched-up stories inspired by the theme “Deleted Scenes” from Mike Dressel, Minna Proctor, Jessie Vail Aufiery, and Heather Lang. Hosted by Kelly Jean Fitzsimmons. Live Shows in 2017 including our AWP Event! Looking forward to some “switched-up” storytelling in 2017? FIRST UP, we are excited to bring No, YOU Tell It! to the 2017 Association of Writers & Writing Programs (AWP) Conference & Bookfair in Washington D.C. in February! 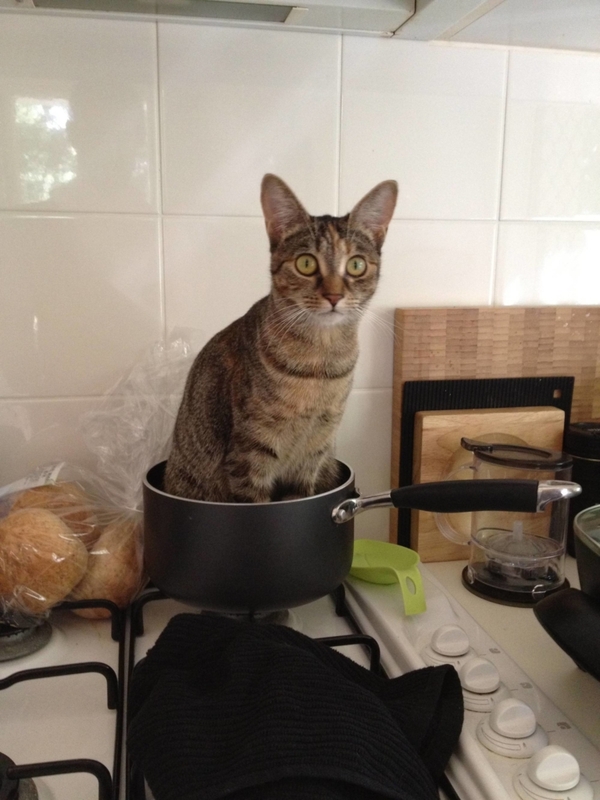 But why wait? Click here to give a listen to our No, YOU Tell It! podcast featuring switched-up stories from our live shows. You can also SUBSCRIBE on iTunes or GooglePlay Music. New “Two on Tuesday” episode coming next week! Chalk art version of our logo courtesy of alum & friend Marcos Stafne. Our last live show for 2016 is one week away! We are meeting with our “Elected” storytellers tonight to workshop the second drafts of their stories. Susan Ferrara – WRITER: BUZZ (Dir, Carrie Preston; Winner, Reverie Next Generation Award; Atlantic Theater Company, NYTW readings; Finalist, Baltic Residency; WP Lab Semi-Finalist; Honorable Mention, Jane Chambers Award); THE SILVER KITCHEN (Naked Angels, Tuesdays@9), THE WONDER (Writer/Actor, Directors – Julie Ann Emery/Kevin Earley, Best Production/International United Solo Festival, Doric Wilson Award (nom), William Saroyan Human Rights/Social Justice Award (nom), terraNova’s New Play Series), GERTRUDE (advanced to second round, Sundance MENA Lab; under consideration, Orlando Shakespeare PlayFest, DecadesOut workshop; semi-finalist, Bridge Playwriting Contest (pending)). ACTOR: Public Theater, Actors Theatre of Louisville, Onion News Network; award‑nominated series regular, THEN WE GOT HELP (Julie Ann Emery, writer/dir), AEA/SAG/AFTRA/DG/terraNova Groundbreakers alumna. Christopher Green is a recent New York transplant from Cincinnati, currently residing in Brooklyn with two roommates and one slightly internet-famous cat. He holds both a BA and MA in English, helping him to reach his ultimate goal of raising underemployment to an art form. His stories have appeared in several journals and magazines such as Burner, The MacGuffin, and The Ampersand Review. He is currently working with his agent to publish two novels, one of which is sort of about vampires but not really and it’s kind of a whole big thing and maybe he just shouldn’t have brought it up. Christopher came up with the idea for The Prose Bowl watching crickets fight in his back yard. Nick Martorelli moved to NYC five years ago. Before then, he worked as an actor, substitute teacher, window salesman, tour guide, carpenter, grant writer, janitor, administrative assistant, company manager, scarecrow mascot, and freelance writer. Since moving to NYC, he has performed with Accidental Shakespeare, Underling Productions, and he is one half of the writing duo MuMa, who are still looking for an agent. Are you an agent? Whether or not you are, you can follow along at @NickMartorelli and @BeamersBeerCo. After tonight, they have one more chance to revise their true-life tales before they FLIP SCRIPTS and perform each other’s stories for YOU on November 9th. Join us! 7 pm! FREE. No, YOU Tell It! “Elected” – Nov 9th! Save the date for our next No, YOU Tell It! show at Jimmy’s No 43. – Nov 9th. That’s right our next live show is the DAY AFTER the election. Our first story meeting with Susan Ferrara, Christopher Green, Nick Martorelli, and Christopher Torres is tomorrow night and we can’t wait to hear their first drafts! Bonus, bonus: Our own Mike Dressel is on the panel of judges tonight! Our “Blanked” show is in two days! After two rounds of revisions on their true-life tales, our storytellers have flipped scripts and are busy rehearsing their partner’s story with a member of the NYTI creative team. Who are our switched-up storytellers? I’m so glad you asked! Tobias Carroll is the managing editor of Vol.1 Brooklyn. He is the author of two books: a short story collection, Transitory, and Reel, a novel. Ryan Donovan grew up rootless, born outside of San Francisco to parents from other time zones. They moved north to Washington state for his high school years, and has roved restless ever since, spending time in Pittsburgh, Chicago, Seattle, and now New York City. He pays his bills by writing instructional and marketing materials for technology companies. But he writes stories secretly, revealing them for select readers. See you this Wed! FREE. The back room opens up right at 7, but feel free to come early and enjoy some food or drinks in the bar area. Who’s Ready To Get BLANKED? Our next live show is coming up fast! But what does No, YOU Tell It! 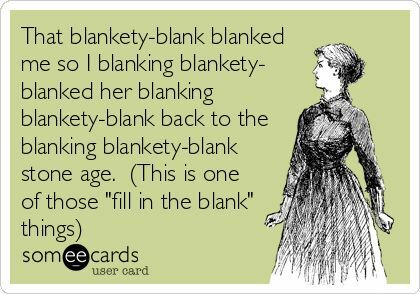 “Blanked” mean exactly? Part of the excitement is seeing how four people from varied backgrounds interpret that idea in unique and personal ways. How will Tobias Carroll (managing editor of Vol. 1 Brooklyn and author of Transitory), Ryan Donovan (writer of instructional and marketing materials by day/secret story spinner at night), Jennifer Harder (featured actress in I’ll Say She Is and pro trumpet player with Hungry March Band) and Alex Rubin (playwright, lyricist, librettist, and storyteller to name a few…) interpret the theme Blanked?? We had a sneak peek at our recent story meeting when this fab four met to workshop their first drafts with the NYTI creative team. And the answer is: In four delightfully damaged stories about memory ear-worms, travel blank-ups, awkward mind-blanks, and near black-out running. Intrigued? Join us on Sept 14th! Responsibility shifts as our storytellers swap the true-life tales they’ve been working together to develop on the page and present each other’s story live on stage. FREE. Plus, the chance to win some fun literary swag! Have you missed us? Never fear, our next live show fast approaching! Save the date! Need some switched-up storytelling in your life before then? Give a listen to our podcast – new episodes coming soon. Subscribe on iTunes and GooglePlay. We’ve had a busy 2016 with shows at QED: A Place To Show & Tell, Jimmy’s No. 43, and the recent Q-Boro Literary Crawls! What? No more switched-up storytelling until September? Not true! You can listen to the No, YOU Tell It! Podcast. Each episode features one pair of switched-up stories from our live shows. Click here to listen and SUBSCRIBE on iTunes. New episodes launching all summer long. If you like what you hear, please rate us and leave a review! 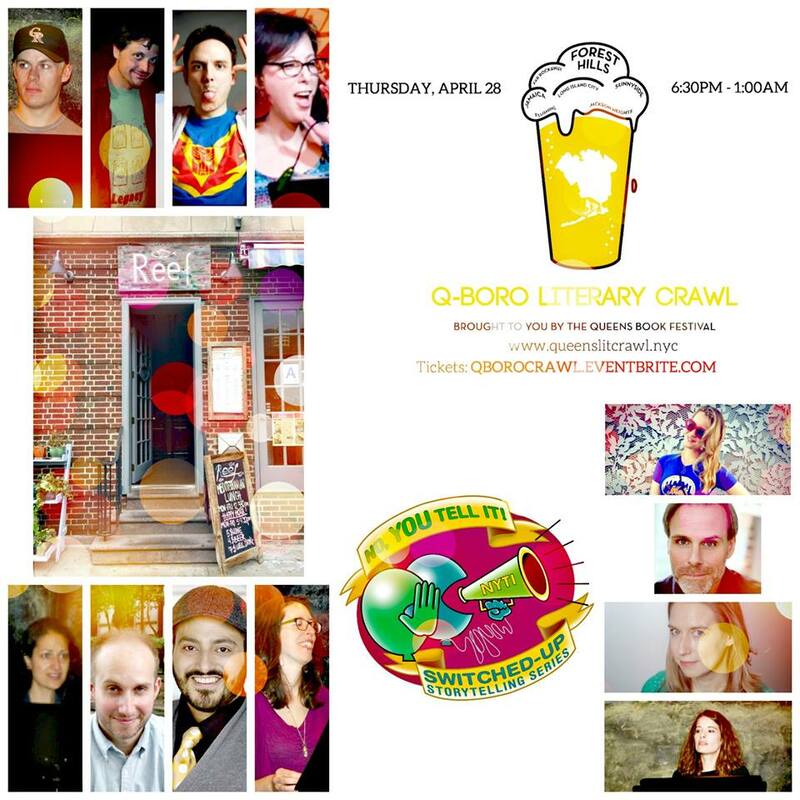 See you this Thursday at the Forest Hills Q-Boro Literary Crawl. Come visit us at our venue: Reef (108-02 72nd Avenue). Sad news, it’s our last live show until fall. GREAT NEWS, it’s a whopper! 10 NYTI alums are coming back to switch-up their story with a new partner. Meet our storytellers below and click here to get your tickets. Sydney Beveridge has interviewed a judo Olympian at a grappling session, played a cruel waitress in a radio drama, and channeled Cher to explain census data. She communicates demographics, software, and stories for SocialExplorer.com. Working for the Corporation for Independent Media and independently, she has produced stories for BBC Radio, WNYC, SiriusXM, Third Coast International Audio Festival, and Public Radio Exchange. She is also assisting with the development of a stage play inspired by outsider artist Henry Darger. As a standup comic, she participated in the She Devil Comedy Festival and co-hosts Free Mic Fridays at QED Astoria. Bard Hovenga is a special education teacher and writer from Colorado Springs. His work has appeared in Newtown Literary. He currently lives in Sunnyside, Queens, with his fiancée, Monica, and their two dogs, Killian and Riisy-girl. Laura Forer would like to thank her parents for putting her through journalism school and is grateful for this one night since graduation that she’s been able to use those writing skills. She would also like to thank her fourth grade teacher for casting her as a little pig in the school play in order to prepare her for tonight’s performance. And lastly, she would like to thank Oren for leaving the house tonight and Charlie for depriving her of just enough sleep to keep her mind sharp. Known as “Wild Buffalo” during his childhood as a member of Indian Guides, Mark Woollett has acted and directed professionally in more than 50 productions, including 21 of Shakespeare’s 37 plays. Recently, he played both Jesus and Stephen Hawking in Deborah Zoe Laufer’s End Days. For nearly ten years, he was in residence at Shakespeare & Company in the Berkshires working as a teacher, producer and administrator as well as acting in seventeen productions. More than anything, he adores his wife Candace and enjoys reading to her every night before bed. Jessica Cannon is a New York City based actress and voiceover artist whose voice can be heard in national television commercials and radio spots for major brands such as Twizzlers, ALL, Schick, Beggin’ Strips, Gerber, Coffee Mate, Clear Shampoo, Smirnoff Ice, Nesquik, and many others. Her work also includes voicing promos, cartoons and video games. If you’re young enough, you may remember her from your potty training days as the host of Potty Power, the number two best-selling potty-training DVD on Amazon (no pun intended, Elmo beat us to the number one spot). Kahle Alford is an Associate Prose Editor for The Literary Review. She has an MFA in Creative Writing from Fairleigh Dickinson and studied at Tisch’s Experimental Theatre Wing while earning her BFA in Acting from NYU. 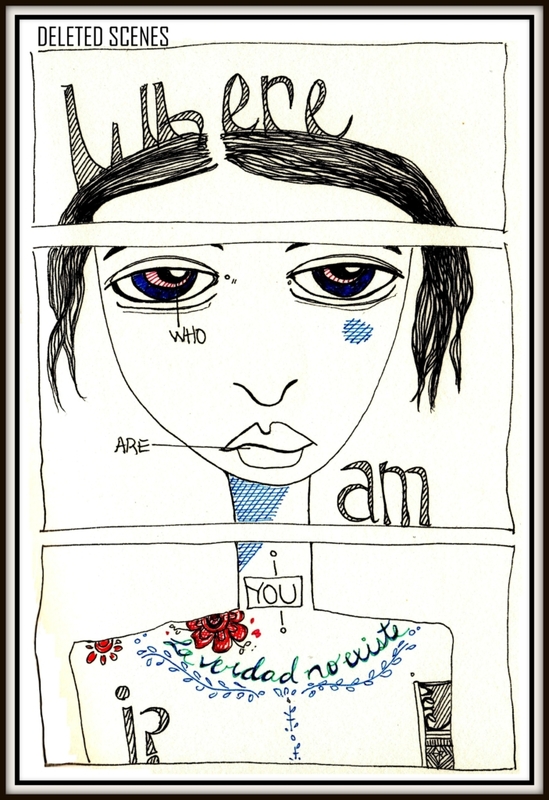 She can be found writing poetry somewhere between Brooklyn and Nashville with her basset hound. Ryan Holmes hosts the popular entertainment podcast BlazinRy Radio. NYC theatre credits include SLAM: A Graffiti Musical at New York Theatre Barn, Peace Warriors at Fordham – Lincoln Center, Blocked: A Play About One Man at Manhattan Repertory Theatre, and the award-winning cabarets Hot Mess in Manhattan and The Rescignos, both at The Duplex. Visit blazinryradio.com. Note: Morgan Pielli and Nelson Lugo couldn’t join us for this Lit-Crawl. However, you can listen to Morgan’s story “Midget” in Episode 9 of our podcast. Nelson’s story “Crazy Sad” is featured in Episode 16. 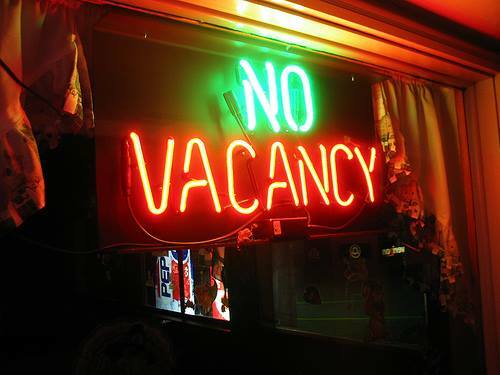 Meet our switched-up “No Vacancy” storytellers! See you on Wed at Jimmy’s No. 43 – click here to RSVP. Liz Simons is a comedian, writer, and actress based in New York. She performs stand up all over NYC and produces and hosts the popular monthly show “Laugh It Up, Astoria!” with Jenn Wehrung at Q.E.D. in Astoria. She can be seen in all three seasons of Broad City. She has written for Oxygen.com and independently founded the pop culture blog TheDVRFiles.com where Jason Priestley once called her “really funny.” Liz grew up in Massachusetts and is a graduate of Duke University. She is also a very avid, very average runner whose goal is run a marathon in every state! Find out more about her at lizsimons.com.